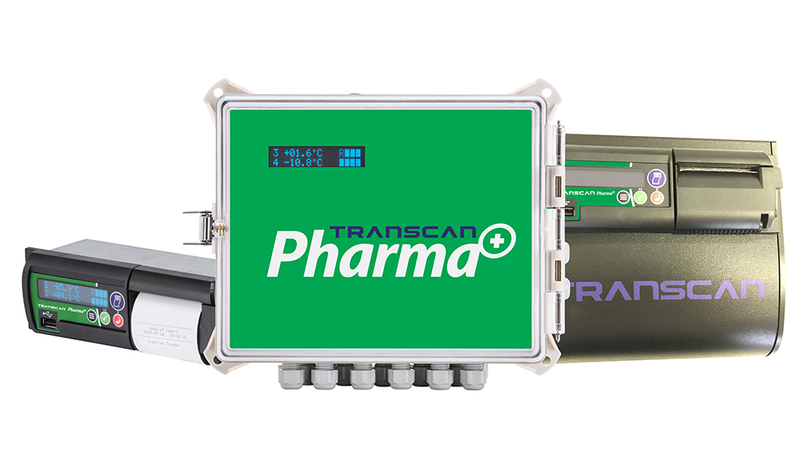 The Transcan® Pharma+ is a temperature data logger specifically designed for the pharmaceutical distribution industry and the requirement for GDP in mind. It supports up to 8 separate temperature inputs from precision NTC thermistor sensors. Each input is characterised for operation between -40°C and +40°C. You can also add up to 7 switch inputs such as door switches, defrost and fridge on/off alarms. For reliable, cost effective monitoring and recording choose the Transcan Advance Pharma+, the industry standard Temperature Recorder incorporating the unique ADR (Automatic Daily Recording) System. The Transcan Advance now includes a host of features designed to make the easiest to use temperature recorder EVEN EASIER. Transcan Advance recorders have been type tested and approved against the EN 12830 norm for vehicle temperature recording systems and are certified as a Class 1 device. This is the highest classification of performance that can be awarded. Additionally Transcan Advance recorders have met the requirements of the German interpretation of the EEC directive 92/1/EWG and have received certification by the German Test House TUV Bau-und Betriebstechnik. Transcan Advance recorders include the facility to select the operating language (English, French, German, Spanish, Italian, Portuguese, Polish or Dutch) with a unique in-built HELP system, this makes Transcan the only multi language self documenting temperature recorder. Transcan Advance Pharma+ supports up to 8 separate temperature inputs from precision NTC thermistor sensors. Each input is characterised for operation between -40°C and + 40°C . You can also add up to 7 switch inputs such as door switches, defrost, fridge on/off or alarms.